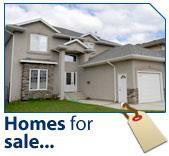 Browse these homes for sale in Houston, Texas to find the perfect home! View virtual tours, send my listings to family and friends, and use my exciting map search! Can't find what you're looking for? No problem. Try my Home Search absolutely FREE! Not only will you be notified by email of all our new listings that match your search criteria, but your homes search will find other featured homes for sale in Houston by other local real estate agents. Birnham Woods 907 Birnham Woods Blvd. Spencer Highway Gardens 2811 Dupont St.
Baywood Oaks 5019 Bayfair St.
Rice Military 1390 Studer St.
2 Story Residential Houston $335,000 1,688 sq. ft. 2 Potential for 3rd Bedroom! Convert downstairs Game Rm, if needed! Rice Military 4919 Nolda St.